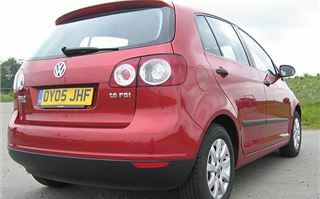 A little background information from Honest John before his appraisal of the 2005 VW Golf Plus. Renault has to be congratulated for changing the way people think about cars. Renault invented ‘Multi Purpose Vehicle’ with its 7-seater Espace. And followed up with the similarly versatile 5-seater Scenic. Now, if a manufacturer wants to sell a lot of cars it has to offer more than just a standard family hatchback. 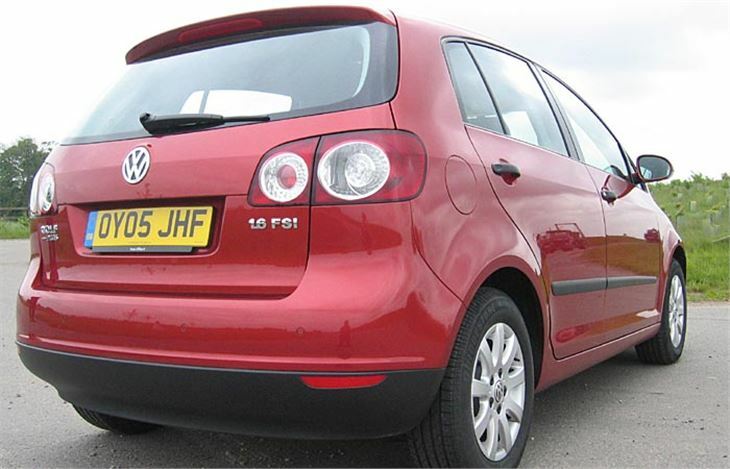 As well as a saloon version and an estate, it has to offer an MPV. So Citroen has the Picasso, FIAT has the Multipla, Ford has the C-Max, Honda has the FR-V, Mazda has the Premacy (about to be replaced by the Mazda 5), Nissan has the Almera Tino, SEAT has the Altea, Toyota has the Corolla Verso, Vauxhall has the Zafira. VW already had the Touran. 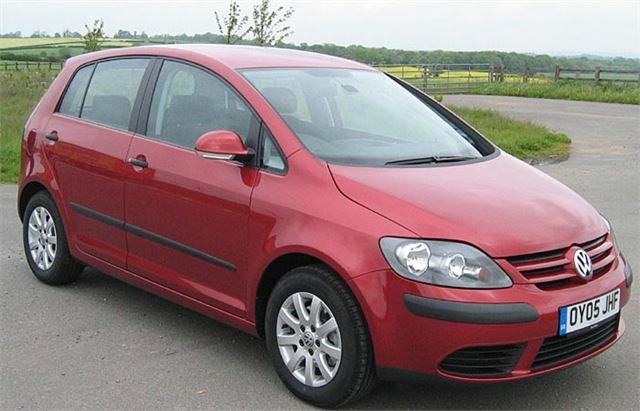 Now, mid-way between the Touran and the Golf, it offers us the Golf Plus. The Plus only 3.75” taller than the Golf. But that’s enough to allow passengers to sit slightly more upright which most find more comfortable. And, since bent legs don’t take up so much length, the designers can offer a choice of more legroom or a longer load-bay. 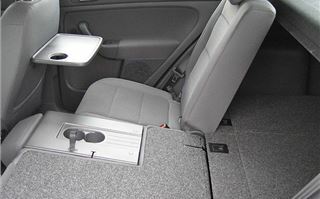 There are the usual folding seatback trays with cupholders. 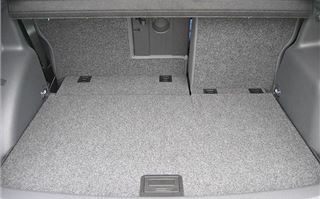 Centre console and door cupholders. Even a bottle holder. 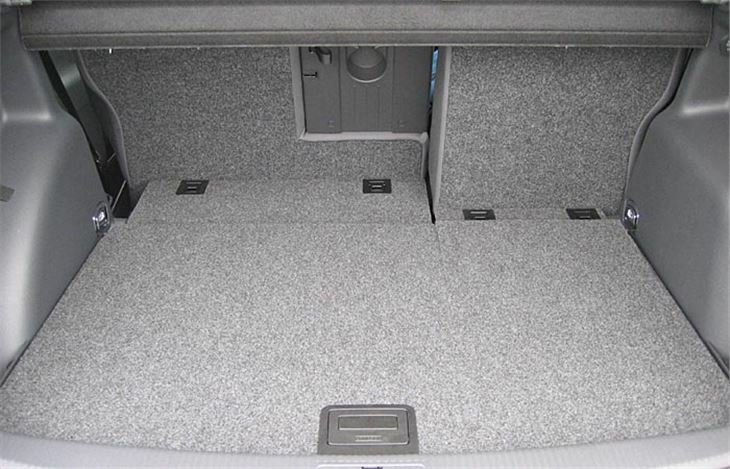 You don’t get cubbyholes in the floor as on a Scenic, but there are a total of up to 43 places to put things, including a flat storage area capable of accommodating most baby buggies between the rear luggage platform and the spacesaver spare. 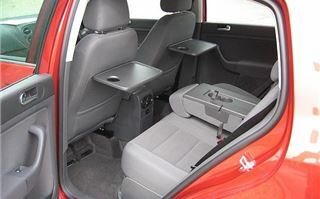 Having driven to the launch in a C-Max it was immediately apparent that the designers have missed a trick. 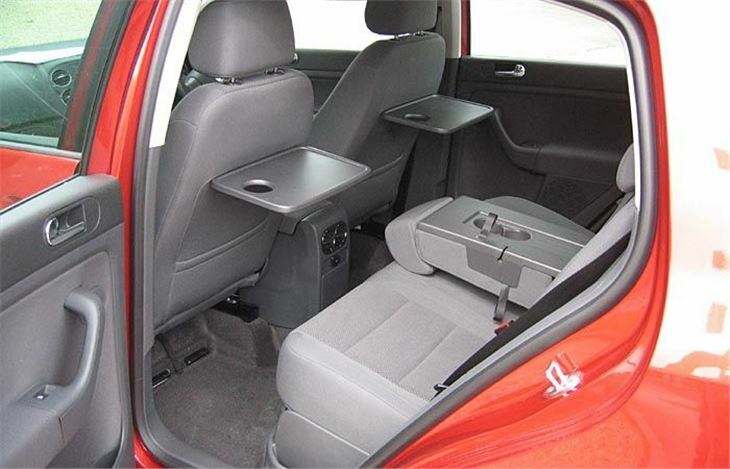 The front seats have side bolsters, so you can’t simply walk into the car as you can into a C-Max. Once there, though there’s a massive range of adjustment for the seats and steering wheel and the seats are very comfortable. 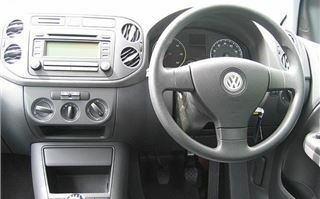 As with the Touran, the ‘A’ pillar quarterlights are too small to be of much use, so shorter drivers may find their vision impeded by quite a big blindspot. It didn’t bother me, but it may bother some people. Out on the road, the standard car with sensible 65 section tyres rides well with no jarring and handles tidily. 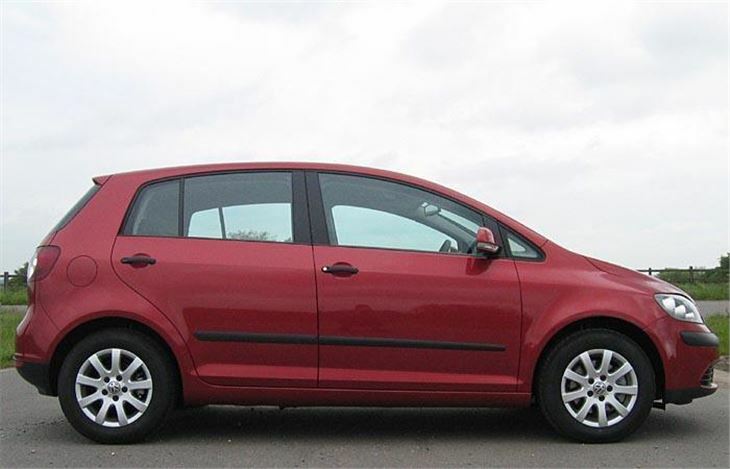 It doesn’t suffer the ‘roll understeer’ of some MPVs so can be hustled along in pretty much the same manner as a hatchback. We tried the 1.6FSI and the 1.9 TDI 105, both of which performed unremarkably except for a mild tendency for the 105 to come on turbo at about 2,500rpm. 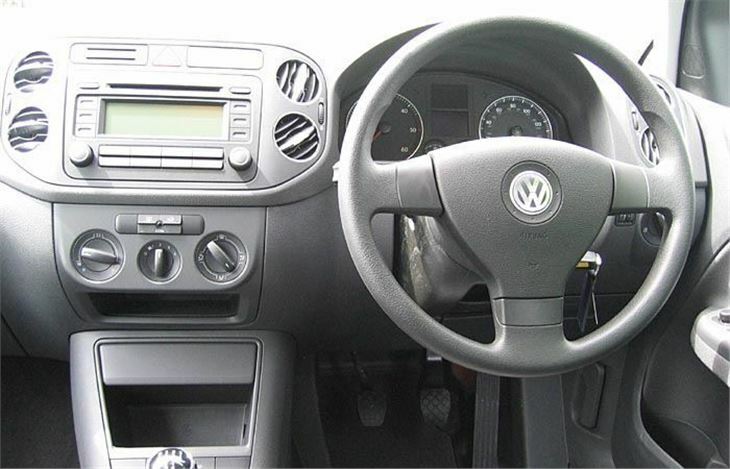 Drivers do suffer a slight performance and economy deficit as all figures are slightly down on the lighter Golf. A month later, I tried the 2.0 TDI 140 DSG and this is definitely the spec to have. You can drive it manually or in full auto mode (and if you forget, it reverts to full auto mode by itself). As with the Touran, the DSG box not only masks the engine's aggressive torque delivery, it also makes best use of it and the car is a real pleasure to drive with bags of front end grip. So you pay a mere £500 more for a Golf Plus over and above the price of a Golf, and continue to pay a bit more for fuel, which would be stupid if you’re the only one in the car most of the time. But it’s not a rep’s car, or a business car. It’s a family car for one-car families or a school run and shopping car for two-car families. A Germanic Scenic with the status of that all-important Golf badge. And the 2.0 TDI DSG is bags of fun to drive.